Home Tags Posts tagged with "Winston Churchill"
Highlighting just some of today’s more than 50 player updates is a milestone victory from Bishop Shanahan (Pa.) head coach Jon Heisman. Included in today’s update are the latest players are the latest additions to the season and career leaders. New faceoff men have been added to the season list as well. Today’s Stylax Stat Leaders features a few days worth of additions to the site in addition to a listing of the latest career records, including Danny McMinn setting a program record. Matt Carr reached several career milestones as the regular season ended to earn this week’s LaxRecords.com’s Player of the Week. Honorable Mentions this week hail from Lake Norman (N.C.), Calvert Hall (Md. ), Wayland (Mass. ), Clinton (N.Y.), Haverford School (Pa.), Chaminade (N.Y.), Lambert (Ga.), Weddington (N.C.), Penn Charter (Pa.), Christ School (N.C.) and Winston Churchill (Md.). Today’s Stylax Stat Leaders update features a New York Section I record by Brian Reda along with several players from Winston Churchill (Md.) contributing in the team’s region title. Today’s Stylax Stat Leaders features a first for Minnesota, career goal mark by Adam Ritter, an impressive stat lines from Nicky Solomon and Paul Gilva. Today’s Stylax Stat Leader features a career performance by Kyle Long and several performances by players from Seton Hall Prep (N.J.) and more. Today’s Stylax Stat Leader highlights contain some impressive performances in crucial games, including games that could decide playoff seeding down the road. Today’s Stylax Stat Leader highlights feature a championship performance, a season-high in Massachusetts and two perfect faceoff men. Also today, Darien (Conn.) and Derryfield (N.H.) make national history in the Northeast. Today’s Stylax Stat Leaders is a massive update with several days worth of players. Among today’s highlights include Aidan Callahan and Brooks Baro hitting career milestones. Also today, Colton Rudd scores 15 and Matthew McGannon sets a program record for Shawnee Mission East (Kan.). 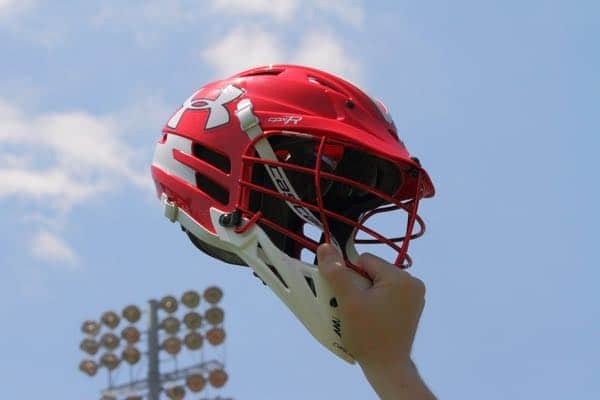 Under Armour announced the rosters of boys who will represent the Washington, D.C. region at the 2017 Under Armour Underclass Lacrosse Tournament. Included in the announcement are up-and-coming players like St. Anne’s-Belfield’s Connor Shellenberger (pictured) and several players from Georgetown Prep (Md.) and St. Stephen’s & St. Agnes (Va.).